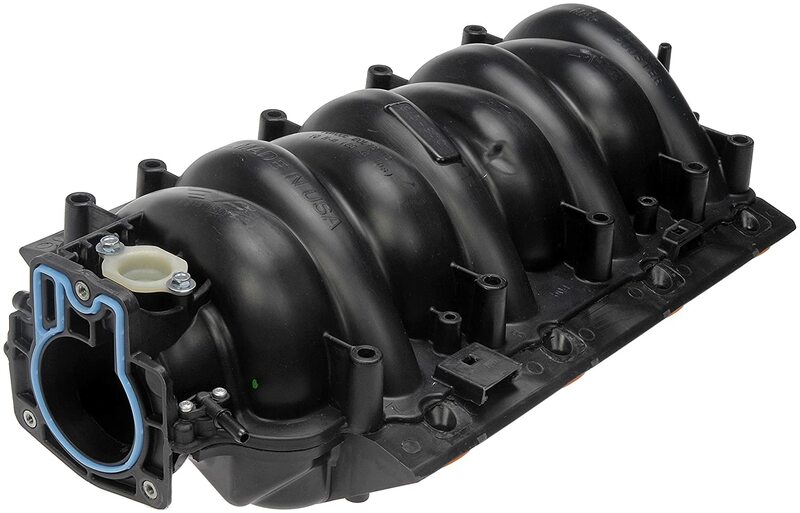 Best LS1 Intake Manifold Reviews: 5 Top-Rated in April 2019! An intake manifold is essentially a solid cast component made up of many cylindrical tubes that are folded around to deliver a fuel/air mixture to the engine. The intake manifold injects either an optimized fuel/air mixture or in direct injection models, only air into the cylinder heads. The even distribution and amount of air added to the mixture provides differing levels of performance, ranging from stock to racing and heavy duty hauling. The FAST LSX is a 92mm three-piece black intake manifold made for GM Gen III (LS1, LS2, and LS6) applications. This is an easy to bolt on, a black intake manifold that delivers performance upgrade over stock manifolds. The material used by fast is their proprietary black polymer that is lighter and stronger than aluminum and delivers exceptional performance characteristics including reducing the “heat sink” effect of aluminum. FAST is a leader in innovative polymer solutions, and as such you pay an exceptional price (high) but get a perfect solution that outperforms aluminum significantly. The Dorman GM Intake Manifolds are designed to replace factory manifolds and deliver improvement in mpg and emissions. This model uses both polymer plastics and reinforced aluminum coolant crossovers, to provide an optimized performance against vibration and corrosion. This is a 78mm throttle body design with a 2.75” x 1.5” port outlet, and the whole component is only 7” high. The integrated silicone intake gaskets deliver exceptional sealing properties that outperform stock gaskets, and the walls are thicker, providing a more thermally secure and constancy controlled cool air environment that helps prevent gasket warping. This is the budget-friendly polymer performance manifold, it delivers over stock performance and comes with an attractive price for a composite material model. The PP 52060 is a performance upgrade model that is made from highly polished aluminum casting with high volume fuel rails and stainless steel mounting brackets. The hardware is all stainless steel, and it comes with a -6 AN stainless braided crossover hose. 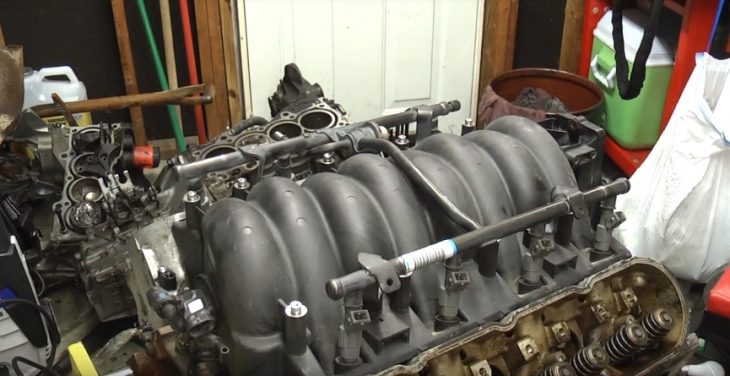 This model outperforms the LS6 intake manifold and produces 17.7 more horsepower at 6,200 RPM. The PP 52060 has an 85mm inlet and provides more power and torque at low and mid-range engine speeds. This model works in the 1500-6500 RPM Range. The design features a larger plenum volume for larger displacement engines and boosted applications; it also comes with NOS bosses positioned on the port runners. What an exceptional model, so beautifully crafted and delivering such performance upgrade at a middle range yet reasonable price. This is the stick out model that turns heads as well as performs in action. 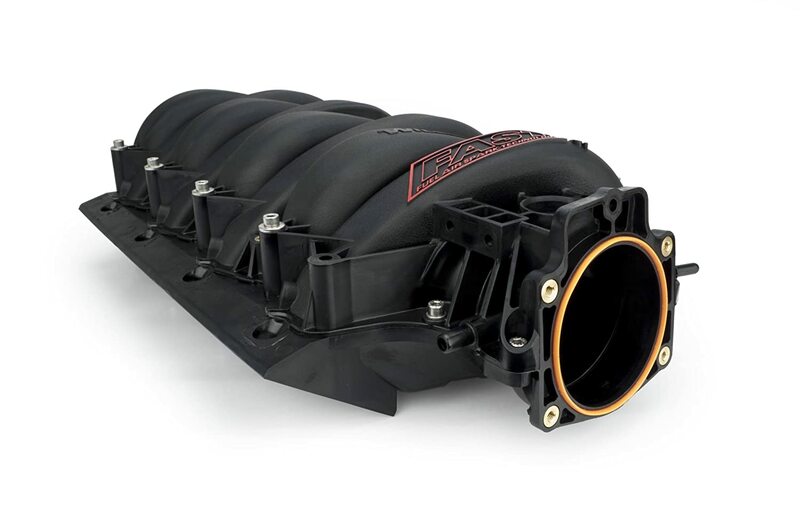 This is the Holley 300-137 Single Plane Intake Manifold for LS1, LS2, and LS6 applications. The Holley 300-137 is a spider-shaped intake manifold that provides 2,500-7,000 RPM broad power band of performance. This model weighs 11.5 lbs, so you get that optimized lightweight performance too. This model uses an LS Single Plane Mid-Rise design and works with both carbureted and EFI applications. This model is designed as an ultra-low model; the port sizes are 2.66″H x 0.92″W, and the Carb Mounting Flange Height from Lifter Valley Cover Flange is only 4.95″. 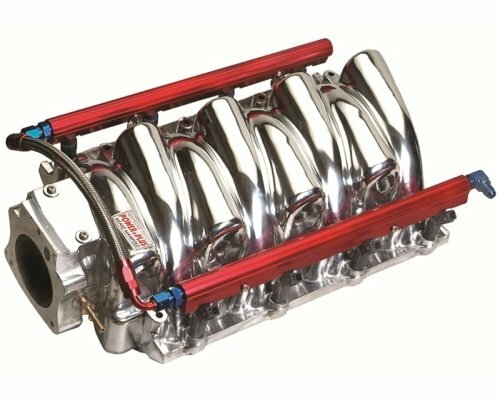 This is a leading and popular LS1 intake manifold kit that is appearing in a lot of performance upgrades across the US. This definitely a top-rated aftermarket upgrade. 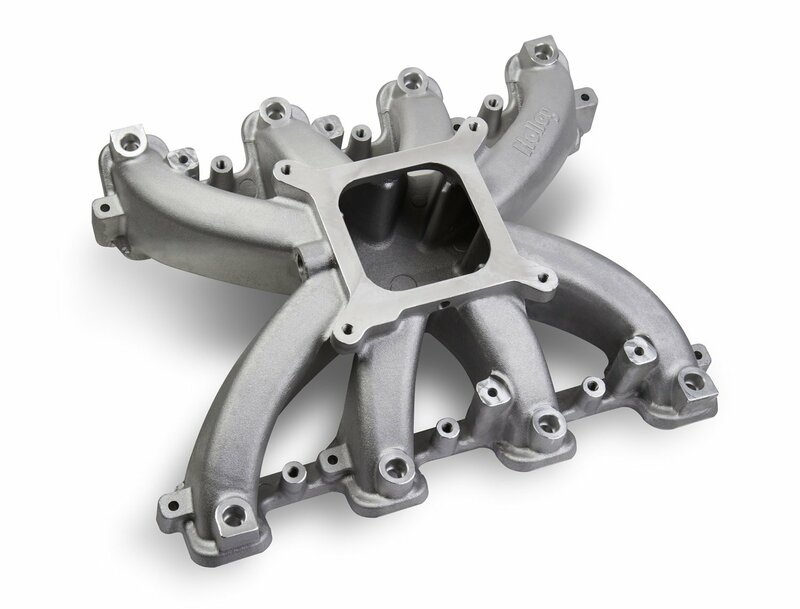 The Fast LSXr 102mm Intake Manifold uses a complex polymer material and is a performance manifold designed to outperform aluminum intake models. This is a black colored polymer that comes with lighter weight, increased strength and improved heat dissipating features that deliver better performance than aluminum manifolds. This model is designed for cathedral port LS1/LS2/LS6 engines. This 102mm model features a unique modular design that provides you with a fast and easy disassembly as well as enables you to remove individual runners for porting. 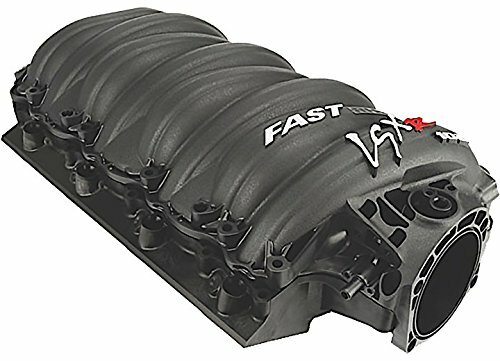 Fast is a leading innovator in modern materials, and this is one of their successful and exceptional performance models that delivers ultra-lightweight performance at a high price, yes, a high price, it is a top rated model that delivers one of the best performance standards on the aftermarket today. Several versions of the LS were used in the Chevrolet Corvette, beginning with the LS1 in 1997 through the LS9 and others in 2013. Variants of the LT version of the GM small-block have been used since. The LS1 engine was first introduced in 1997 and was mounted in a Corvette. 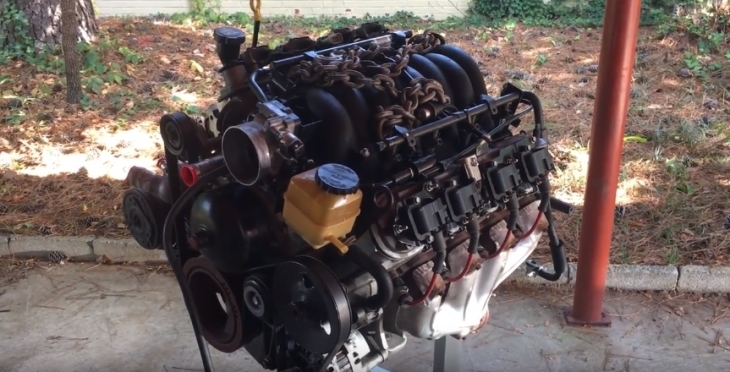 This engine was rated at 345 hp (257 kW) at 5,600 rpm and 350 lb/ft (475 N/m) at 4,400 rpm. In 2001, the improvement was made to the intake and exhaust manifolds, and the rating improved to 350 hp (261 kW) and 365 lb/ft (495 N/m). The LS1 was used in Corvette’s between 1997 to 2004 as well as being used in 1998-2002 GM F-Body Camaro and Trans Am applications and delivered a rating of over 305–325 bhp (227–242 kW).